Every year this time around my birthday, the wind comes and the leaves begin to fall. I walk out in my boots and scarves and just can't help but feel a tingle of warmth inside me. There's something words can't describe about the beauty of this season, about the moment you step outside into the crisp autumn air, and discover, that almost over night, life around you has turned into these fabulous shades of reddish golden brown. And that those beautiful leaves around you, even in their parting, bid farewell in such splendid fashion, choosing not to mourn the end of their time, but rather celebrate the beginning of something fresh and new ahead. And so Fall is a time of gathering of friends and family. In New York, it would have been over coffee at the latest coffee shop or perhaps a stroll on the High Line before seeing the view of the Brooklyn Bridge at nightfall. But in Paris, it's about secret places and intimate ambiances, either below in a cave or up on a rooftop. Tucked away at the back of a posh children's clothing boutique in Saint Germain des Prés, this Modern Japanese European restaurant is the perfect spot for brunching on weekends or just an afternoon tea or coffee. Inside, soft pillows and wooden chairs provides an atmosphere of comfort and intimacy. Outside, the charming private terrace allows a quiet backdrop for long conversations. All foods are fresh and organic. The brunch bento box mixes the perfect blend of meats, starch and veggies that leaves you feeling healthy and refreshed. A random queue in front of a no-name entrance, before you're ushered up a small elevator to this gorgeous rooftop. Although Le Perchoir may not be as much of a secret as it used to be, it still remains one of the most intimate Parisian spots for drinks before sundown. Share a bottle of rosé with a whole new view of the Parisian landscape before you. Salle des Fêtes. Ideal setting for official ceremonies. As you may have noticed, I have a thing for château's, especially French ones. They always tell wonderful stories of history's great civilizations' rise and fall. And somehow, you are always reminded that history...always repeats itself. And so August in Paris is a quiet time (minus the tourists) of nothing but sunshine, cafés, brunches, cinemas, and of course, musées and soirées. Friday night, we went to a close friend of W's for some drinks. After climbing up an elegant wooden staircase with sultry red carpeting (typical of most Parisian residences), we entered an intimate setting of dim lights and light chatter. It was a small gathering of about ten people. A few guys were whisking up drinks, while by the large window sat the girls on a big red couch, puffing smoke elegantly from their bright red lips. They appeared to be in midst of some discussion, occasionally raising their eyebrows and shrugging while speaking rapid French. French girls have this way of making you curious about their conversation yet at the same time timid about approaching them. T and M introduced me to their friends, which meant exchanging kisses with each of them on both cheeks. After some brief introductions, I grabbed a stick with tomatoes, cheese and sausage, and started munching on it. Conversation was light, and I managed to produce some basic French, noting happily that no one has yet elected to switch to English. Someone handed me a cocktail, and then it was just nothing but quiet, intimate talk. We climbed up to the roof a bit later (which felt sneaky because it's forbidden). With a beautiful view of Paris' lights at nightfall, we sat there slightly tipsy in relaxed conversation. Despite our love of soirées and flâner-ing, W and I woke up the next day bright and early, with a list of scheduled (fun, cultural, foodie) activities I had already scouted out during the week (W is actually very unFrench in his way of sharing my obsessive needs to plan and be productive, much to the perplexity of his friends). So we checked off the list one-by-one: tennis, swimming, museums, brunch, furniture shopping, and more...museums (and expos). Paris is a capital of art and museums, everything from the traditional to contemporary, eclectic to the avant-garde. Arts and culture is so heavily subsidized by the government (unsurprisingly) that museums are free the first Sunday of the month (or otherwise a mere 10 euros for most places), and sport activities are equally cheap (4 euros for swimming, 7 euros for an hour of tennis court time!!). And..there are more discounts for people under 26. Yup, it's ridiculous. The "Motion Factory" Expo at Gaité Lyrique, which gave us awesome behind-the-scenes footage of how short animated films are made. Musée de Quai Branley, an architectural masterpiece with a wonderful collection of artifacts from all around the world: Asia, Oceania, Americas, and Europe. We were also in time for the "Tiki Pop" expo, which displayed in a richly explained timeline of how the wave of tiki culture obsession swept through California in the mid 20th century. The "L'Etat du Ciel" Expo at Palais de Tokyo, another architectural inspiration. The expo itself was pretty dark with topics such as the end of human civilization. It was different, unexpected, and all very thought provoking. I finally stumbled upon number 158 on Boulevard Haussmann, a street full of handsome residences I could only dream of living in one day. Only a small red banner tucked behind the trees indicated signs of this little musée, as if it didn't want to be found. Oh, subtlety, even when being pretentious, has always been such a French thing. The end of July marks the second month that I've been in the City of Lights. When I haven't been traveling, I've been strolling the streets, getting to know each arrondissement and its personality. Today, apartment affairs took me to the 8th for the signing of dossiers, so I had the opportunity to explore this very proper part of Paris with mostly large office buildings and elegant residences. In the very French tradition (of secret passages and courtyards), the grand entrance of the mansion was tucked away in the back, led by a path from what one would believe to be very typical French front doors off Boulevard Haussmann. Édouard André and wife Nelie were the sole owners of this residence. They had no children, but as passionate and knowledgeable patrons of art, spent their whole lives collecting Venetian, Dutch, and Flemish paintings, tapestry and statues to collect in this home. The home reminded me much of the Newport Mansions in Rhode Island, USA. Unlike art in homes there however, which were bought in entire collections (just to reflect one's wealth), the paintings in Jacquemart-André were a life's worth of work, curated by far more knowledgeable patrons who devoted themselves to art. The first surprise of the mansion came with the sheer size and grandeur of it all. Property is incredibly expensive in Paris, and the fact that this mansion still stands today on one of the most sought after streets is quite incredible (most of the mansions along 5th ave in NYC have long been destroyed to pave way for modern infrastructure). And the second surprise? The incredible variety in rooms. I won't spoil it with photos, but from green rooms to libraries, ballrooms to studies, rooms for art collections to actual residential bedrooms, this property has it all. 1. This is a gem of a museum in Paris. Go during the weekdays to avoid crowds. 2. The visit comes with an audio guide for free, and takes about 1.5 hours. 3. Come early in the afternoon so you can have some afternoon tea in the lovely, parisian, highly-rated café afterwards. I've been to Paris now on more than five different occasions for around 2-3 weeks each, mostly during Christmas and in the Spring. My boyfriend, who is from Paris, took me around to see all the touristy spots, but in uniquely French ways that I could have never discovered myself. So I wanted to share with you guys a few of my favorite non-touristy tourist scenes in the City of Lights. 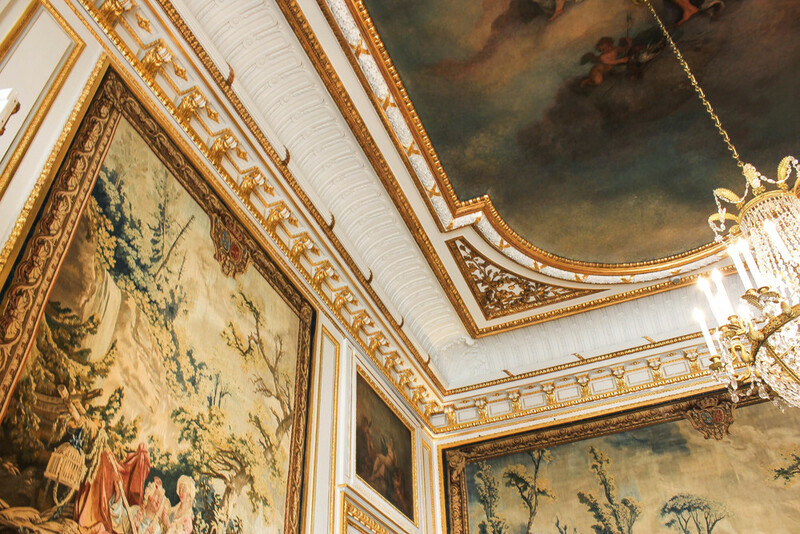 See the best of Paris, but avoid the crowds and immerse yourself like a true parisian! Don't go to the Eiffel Tower to view the Eiffel Tower! It's too tall! And who wants to spend 20 euros waiting in a ridiculous line just to go up an elevator and then come down again because it'll likely be too cold or rainy?! Yuck! Not fun! Remember that the Eiffel Tower shimmers for ten minutes every hour after sunset! Catch it at the right time and you'll have the perfect picture souvenir! You're welcome! Skip the expensive Seine dinner cruise, and be utterly French when you enjoy a glass of wine on a restaurant/bar on the Seine that has views of the Eiffel Tower. There are many "floating" restaurants, so just walk around and find one that has outdoor seating. Great views and great company for 8 euros. Not bad! Just like how you would never actually shop on 5th Ave New York, don't go to the Champs-Elysees' unless you want to run into the same international brands (LVMH, Hermes, etc.) you see everywhere in the world! Try these quaint shopping neighborhoods instead for a true Parisian experience. Bars, restaurants, shops, and an open market! Yes, open markets with cheese, meats, and bread are what the French are all about. On this street, you'll really understand what it means to be ohhhh so French. The French loveee to enjoy their afternoons with a book or glass of wine, and the city is filled with parks and cafés for this very reason. #1 Take a walk in the gardens at Jardin des Tuileries and sit on one of the many benches to soak up the sun. Then head to Angelina for their famous hot chocolate and afternoon treats. #2 Skip the fancy lunch! Pick your favorite park and buy some sandwich baguettes instead for a simple picnic in the park! You'll find plenty of people lazing around on the lawn enjoying the sun. Yet another great way to people-watch and enjoy Paris with the people you love! Okay! That's it for now! I hope you enjoyed these tips and feel free to comment below with your favorite non-touristy tourist spots in Paris! <3 Happy sharing!